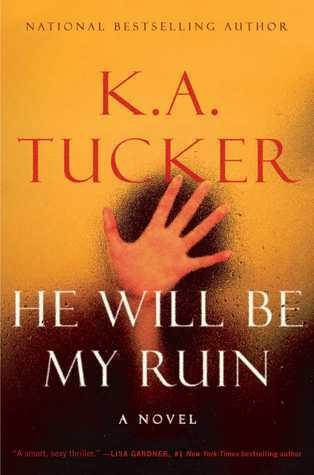 Today I'm featuring my current read, He Will Be My Ruin by K.A. Tucker, which I borrowed from the library. It's a fast-paced, page-turning thriller. Hours of trying to break free of the rope that binds my hands behind my back have left them raw, the rough cord scrubbing away my skin and cutting into my flesh. I'm sure I'll have unsightly scars. Not that it will matter when I'm dead. How well do you know your best friend, someone who has been in your life since childhood? 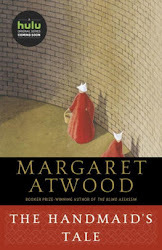 From its very beginning, this novel piles on suspense . . . When Maggie Sparkes is tasked with putting the affairs of Celine Gonzalez in order after her apparent suicide, Maggie realizes there is another side to her best friend that she never suspected. What caused Celine's life to spiral out of control? How will these discoveries impact Maggie's life? I can't find out the answers to these questions fast enough . . .
First Chapter ~ First Paragraph was originally published by Catherine for bookclublibrarian.com. This post cannot be republished without attribution. Retweeting and sharing on Google+ encouraged.